Before adding ingredients below, make sure your heat is on low. You want your chowder/soup on a simmer. Make a thin flour and water paste. Pour it in a cup of milk, mix well. Slowly add flour/milk mixture to chowder. Use half and half and mix in with a roux of flour and butter. In a sauce pan, melt 8 tablespoons of butter and 1/4 cup of flour. Mixing until well incorporated. Whisk in half and half until all ingredients thicken. Slowly add to chowder. Boil potatoes (peeled and cut in cubes) in water with butter. After potatoes have cooked and cooled, make a thin puree by adding water and evaporated milk. Mix well and slowly add to chowder. If you have any questions, please don’t hesitate to contact me. Share your comments below if you have a few tips of your own. 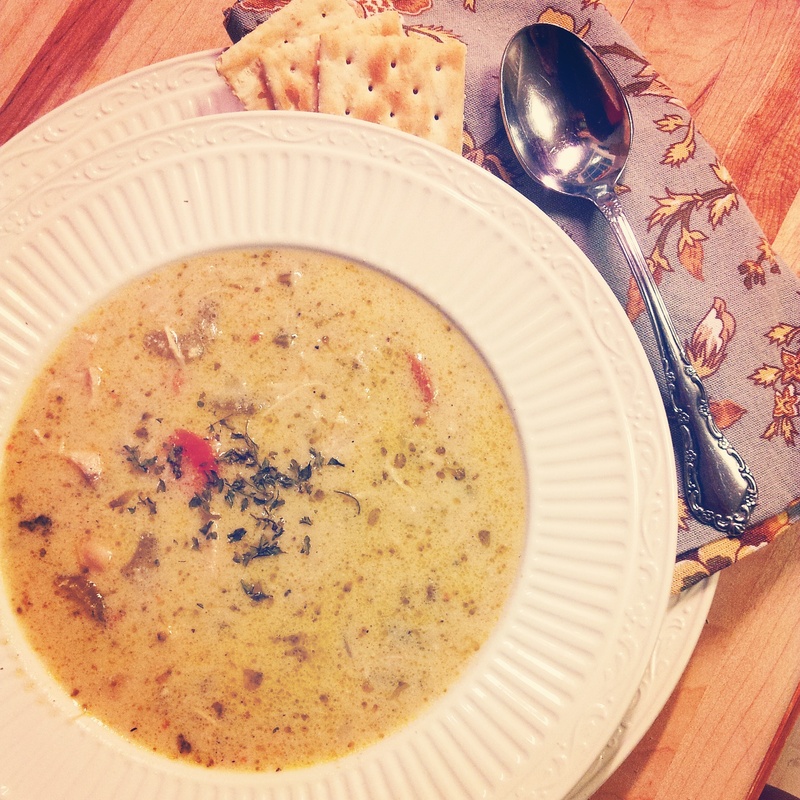 Be sure to check out my Spicy Roasted Corn Chowder, Creamy Chicken Soup and Brocolli Cheddar Soup.